Recognize critical linkages between food systems, local context and dietary adequacy to maintain nutritional health across all stages of life, in an era of both inflexibility and transition in dietary imbalance and malnutrition. Research in this area would integrate public health, nutritional sciences, food security and ethics, agriculture and economics to address nutritional inequities in underserved societies across national income divides. We are witnessing multiple burdens of malnutrition, with some countries, communities and households suffering from combinations of undernutrition, overweight and obesity, and micronutrient deficiencies. Grappling with these multiple burdens of malnutrition are deeply tied to political, social and economic factors. There are currently 784 million people who are undernourished, 159 million children under five who are chronically undernourished or stunted, 50 million children under five who are acutely malnourished or wasted, and 2 billion and 1.2 billion people who are estimated to be iron and zinc deficient respectively (FAO 2015; UNICEF/WHO 2015; Black et al 2013). Although child mortality and undernutrition is slowly declining, it is unclear if these trends will remain with significant external drivers that will challenge us – climate change, population pressure, persistent social inequalities, and geopolitical conflict. Current estimates on climate change, for example, are expected to have dramatic impacts on crop yields, notably in South America, Africa, and South Asia, while also leading to greater food price volatility that are likely to have their greatest impact on the poor (Havlik et al 2015). Over one billion people live in extreme poverty, earning less than $1.25 a day (Chen and Ravallion, 2008), while more than two-thirds of these extremely poor people go hungry (FAO, 2012). In the past, poverty was associated with severe forms of acute undernutrition, particularly in children, that were frequently seen in times of famine and hunger. Today, we know that poverty affects nutrition throughout the whole life-span and has a broad spectrum of manifestations, such as increased propensity to many diseases, both infectious and non-communicable, reduced physical work capacity, a lower learning and intellectual capacity, increased exposure and vulnerability to lifestyle-related and environmental risks, reduced participation in social decisions, and negligible capacity of resolution in the face of environmental challenges (Peña and Bacallao, 2002). This lack of food and poor nutrition impacts a person’s ability to earn a living, creating a vicious cycle of poverty and malnutrition. Individuals lose 10% of their potential lifetime earnings, and countries lose 2-3% of their GDP due to undernutrition (World Bank, 2006). To learn more about links between food and nutrition security and advancing global health equity - view the detailed concept paper on this thematic area. How can we better understand the complex, multiple burdens of malnutrition in LMICs: Undernutrition, micronutrient deficiencies and overweight/ obesity), their determinants (including genetics), and interactions of nutrition and poor health? How can sustainable diets and food systems for planet and human health be defined, measured and implemented, and where can (disruptive) technology can play a role in ensuring sustainability? 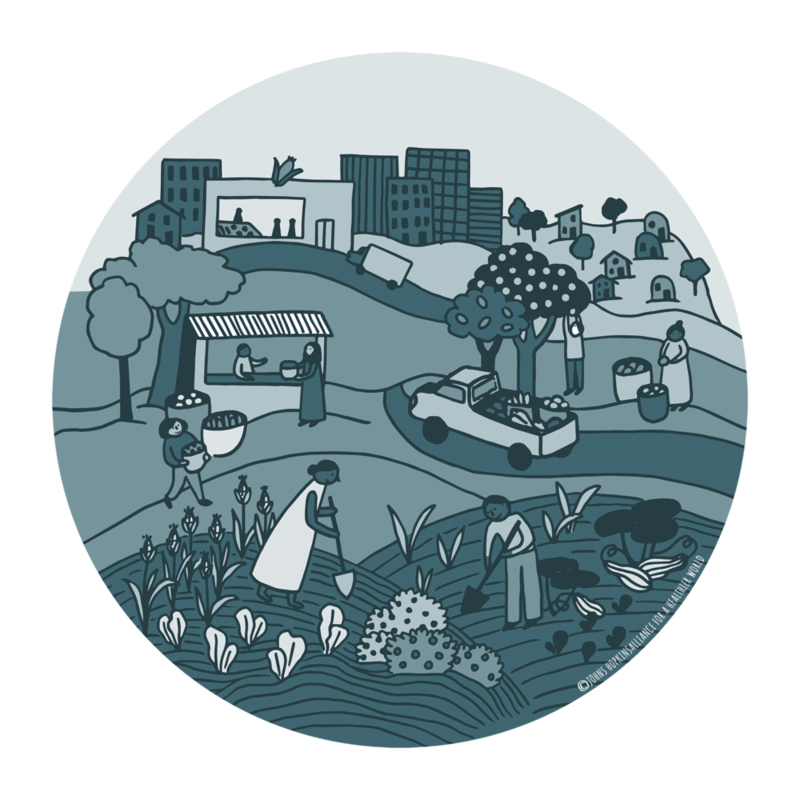 What are the mechanism to improve the food environment within urban settings: South Asia, SE Asia, Africa and how can food value chains be more nutrition sensitive? What tools and technology do we have to prevent, adapt, and mitigate against food and water insecurity of populations in conflict regions/ situations and extreme weather (storms, drought)? How can we better design and evaluate national programs / policies to promote adaptation to climate change – do they reach the poor / address inequities? What are the health and environmental impacts of industrial animal production in LMICs? Jessica Fanzo is the AHW Theme Leader for Food & Nutrition Security, and Bloomberg Distinguished Associate Professor of Global Food & Agricultural Policy and Ethics at the Nitze School of Advanced International Studies (SAIS), the Berman Institute of Bioethics, and the Department of International Health of the Bloomberg School of Public Health at Johns Hopkins University.